Ok so Superman (aka Joba) has a chink in his armor. Joba gave up the winning run on a walk off single in the ninth inning against the White Sox last night. The biggest lost however, came today when the Yankees announced that relief pitcher Brian Bruney is out for the season with a torn ligament in his foot. Bruney lost 25 pounds in the off-season and worked hard on becoming a better pitcher and it had shown this year with an improved fastball and slider. 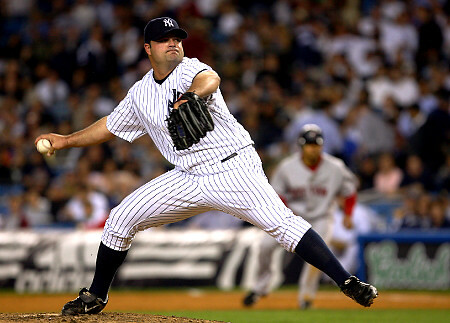 I thought that he was eventually going to become the normal seventh inning guy for the Yanks. This is gonna be a long year for the Yanks if they don’t get healthy quick.